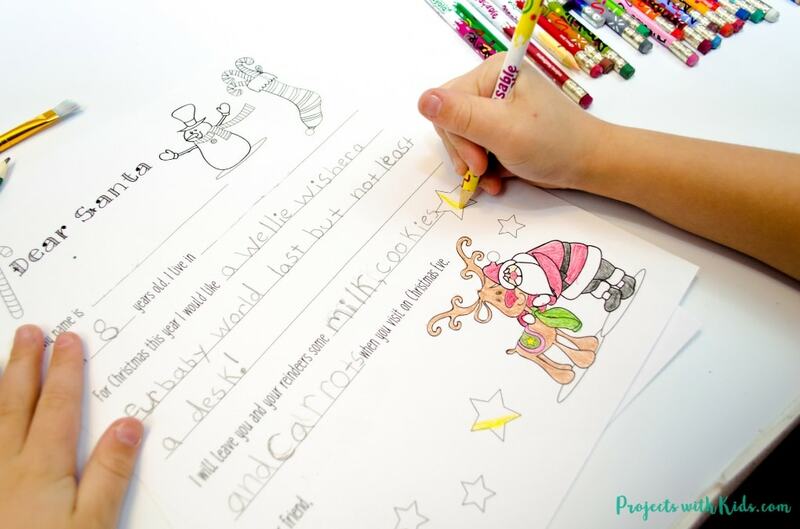 Kids will love using this Santa letter printable template to write their Christmas wishes to Santa Claus. Writing a letter to Santa every year is such a special holiday tradition to share with kids and it’s so magical when Santa actually writes them back! 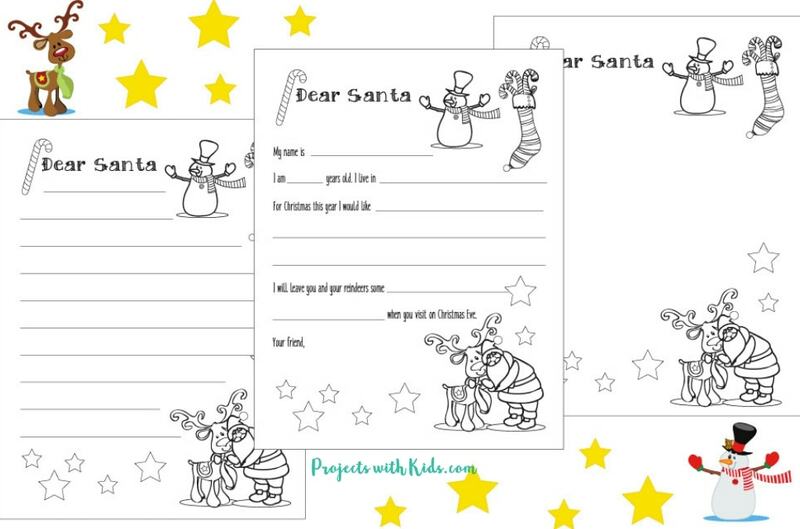 I have made 3 different Santa letter templates for you to use, depending on the age of the child. 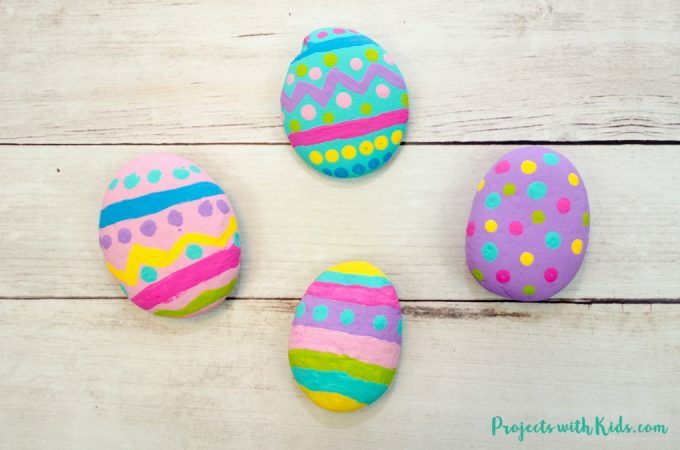 One that is blank, for younger kids to draw and color their wish list instead of write. The next one is a fill in the blank template for beginning writers to give their letter some structure. And the last one just has lines for kids who have a lot to say or don’t need a fill in the blank template. 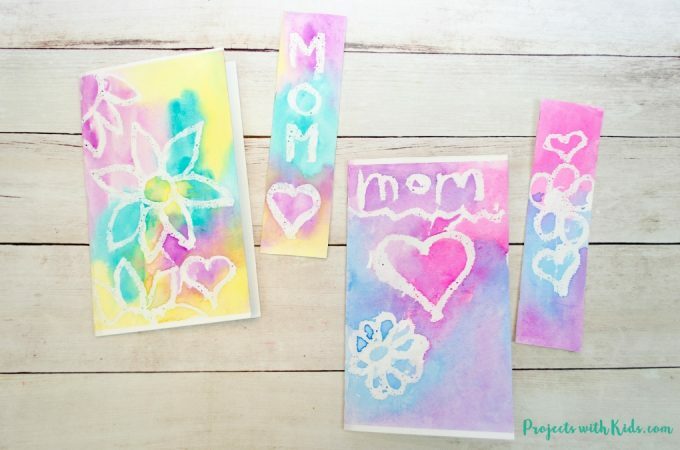 All 3 of these templates are available for free to my email subscribers in the printable resource library. Click here to sign up and after confirming your email you will get a welcome email with all of the details. 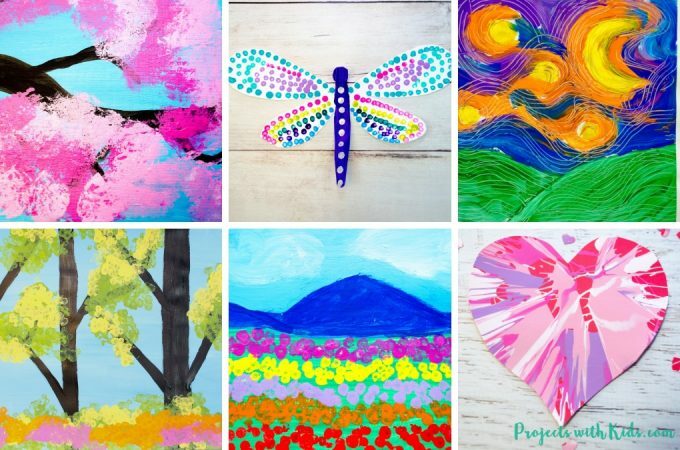 My resource library also has other awesome printables for you to use! 1. 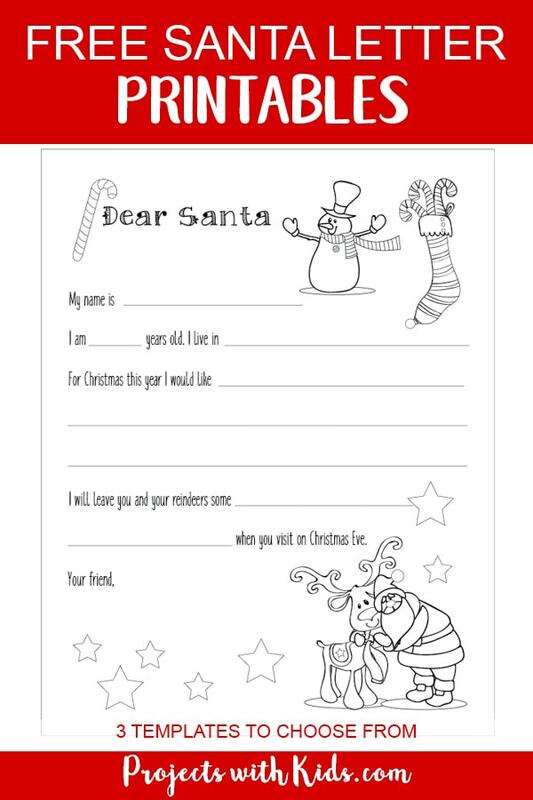 First, choose which Santa letter printable template works best for you. My 8-year-old daughter wanted to use the fill in the blank one and the blank one to draw in and my 5-year-old son used the completely blank one so he could just draw. 2. 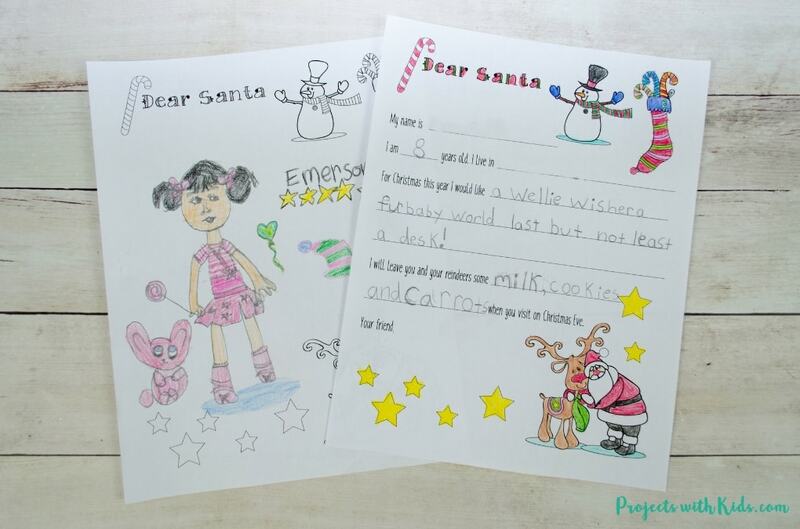 Have kids write their letter and their Christmas wishes. 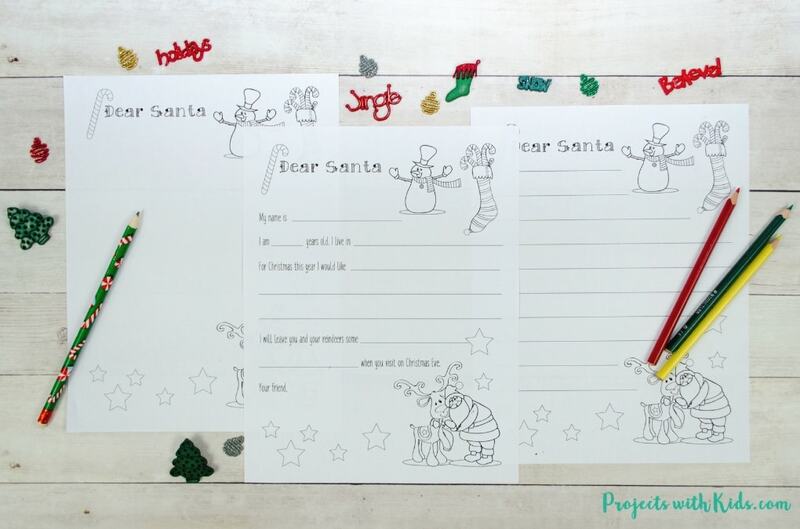 If you have a child that has a lot to say to Santa they could always write on the back or use 2 templates. 3. Let kids color in their letters using pencil crayons (which is what we used), crayons or markers. I just love the cute Santa, reindeer and snowman pictures for kids to color! 4. When kids are done writing and coloring their letters to Santa, it’s time to address the envelope. Depending on where you live there are different mailing instructions. Make sure to include your full return address on the envelope. 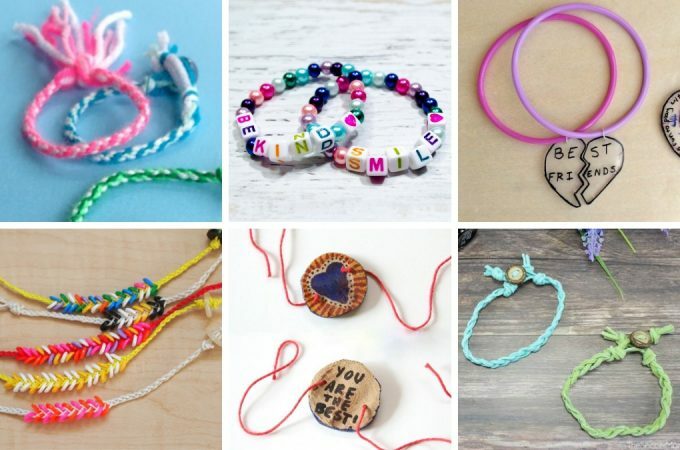 You can find out more details here about sending a letter with Canada Post, there are also special instructions for teachers and daycare providers. Santa will actually write back a personalized letter! We did this last year and my kids still talk about it, they are so excited to mail their letters again this year. 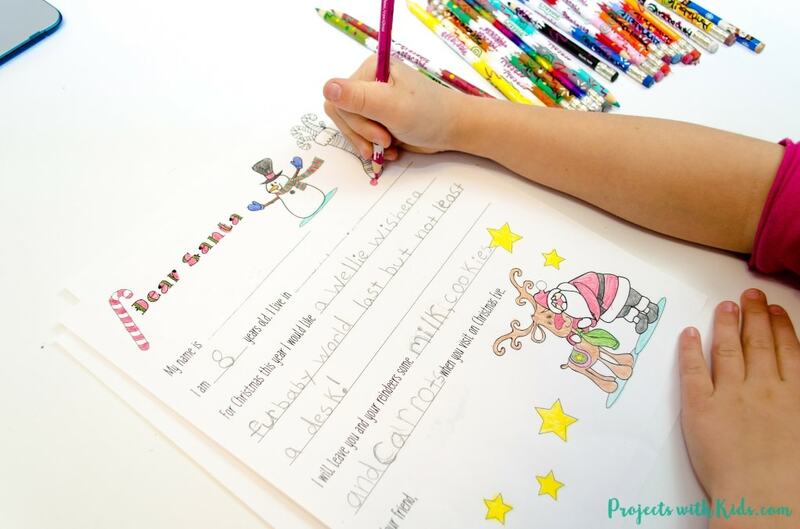 You will need to include a response letter from Santa with your child’s letter and will get your letter and envelope returned with a North Pole Postmark which would be a fun keepsake for kids! You can get more information about sending a Santa letter through the US Postal Service here. I hope you and your kids have a wonderful time writing and drawing letters to Santa this Christmas!